This little white eyelet crop top goes with everything! I have also styled it here & here. My friend Alina wore her top with printed Callahan's so I thought I would try it out with a pair of Walsh! I love how fun & Summery this look is. See this print also styled here. See Alina style the same top today here! 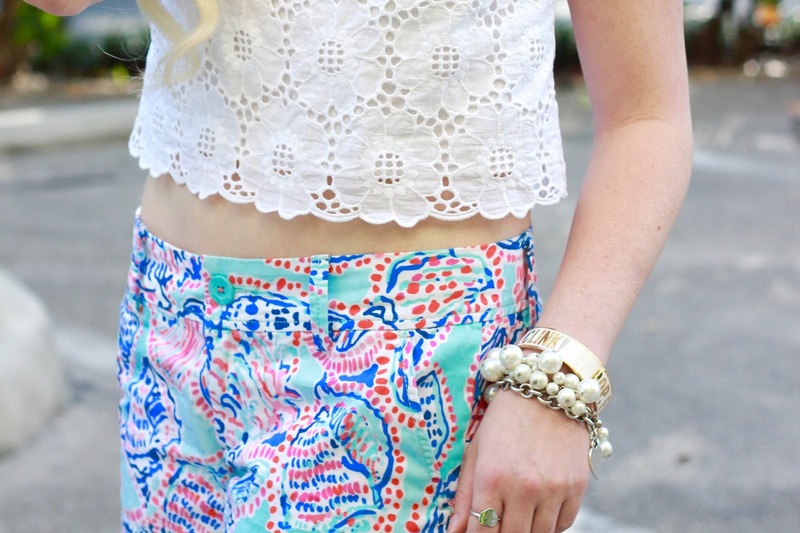 This outfit is adorable, I love the print on your shorts! !